BABYBIRD are delighted to announce a trio of new shows for Winter 2018. 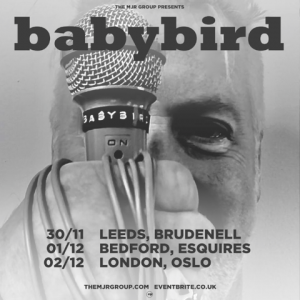 Dec 2 – London, Oslo. It’s over a year since Stephen Jones had that stupid irritating heart attack. He’s been to the gym for the first time. Lost a stone and a half. And is now fully hiked up on blood thinners and other drugs. He and the band gave birth to new gigs last December, and made it safely through, at a very lovely old church in St Pancras, London, which even proved to be, as Stephen put it “very f@*king fun indeed”. In fact the Friday night gig was “absolutely bloody astonishing”. So it was a simple decision to do it again and add more, spread out across the country, have a road trip, and play some new songs. Even have the odd shandy. 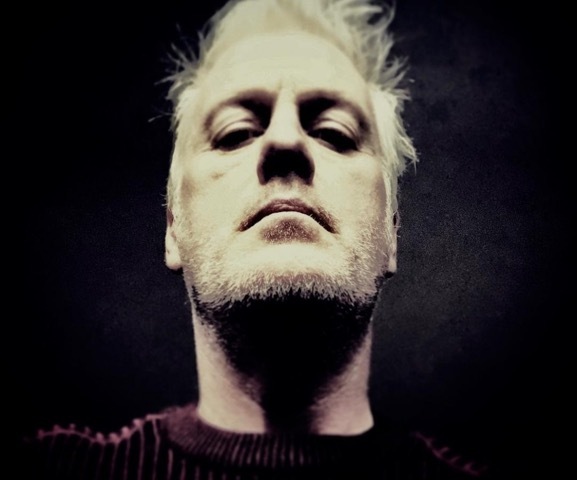 Musical life started with the lo-fi years, consisting of five Stephen Jones solo albums released in a nine month period. This, already without even being signed to a record company, was never going to be something that was part of 1990s indie britpop world. Then an album and single went gold, Stephen was hounded and heckled out of Manchester for being that ‘bleeding gorgeous bloke’, to settle in London.